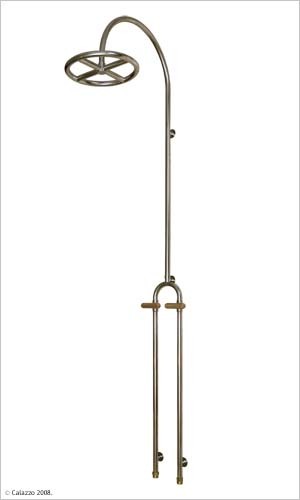 The OTTO series outdoor shower is instantly recognizable by its elegantly U shaped neck on which the unique custom crafted showerhead is attached. 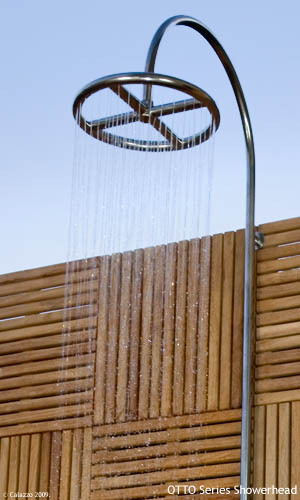 With a twist of the handles, you’ll be astonished by the showering experience. 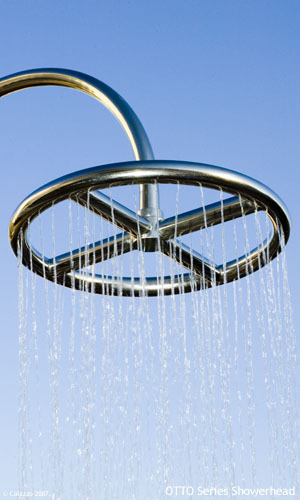 Measuring 14 inches in diameter and lined with precision drilled nozzles throughout the every section of the showerhead, your expectations are instantly transformed. 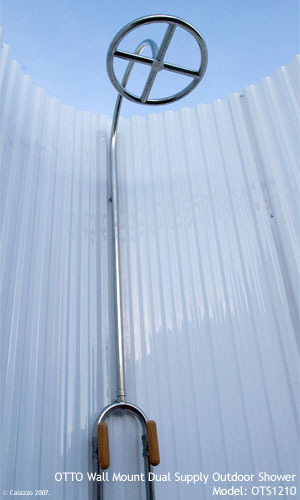 Whether you are rinsing off the chlorine from the pool or sand and debris from a stroll at the beach, the OTTO outdoor shower is the perfect shower for your needs. The intensity of the water is controlled by the individual handle. An adapter is included for connection with a standard garden hose. 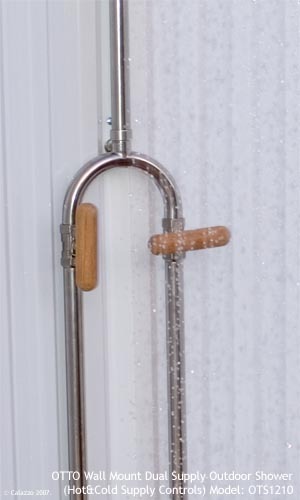 The shower mounts easily to most vertical surfaces. All 316 (Marine Grade) Stainless Steel construction for outdoor durability.